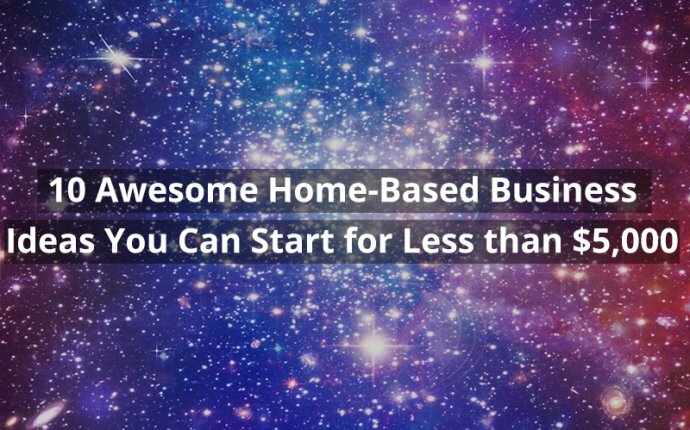 You don’t always have to spend hundreds of thousands of dollars to start a business, specially a home-based business. I have actually talked about starting a business for under $100 before. 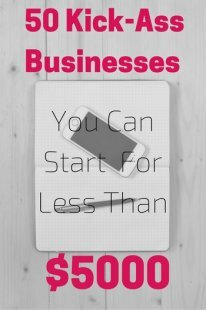 Today, I am going to share with you 50 business ideas– some home-based and some not — that you can start with less than five grand. Now, some of these business can be launched with way less than $5000, though there are some that will take close to 5 grand. Either way, I am sure there is an idea or two for everybody in here. Despite the mass of online communication, there are quite a few people that still see the charm of doing things the traditional way, and this includes sending handwritten greeting cards. If you are crafty and creative, you can make greeting cards and sell them both at local shops and online. If you are good at scrapbooking, it’s a similar technique, and will likely be something you really enjoy doing and are great at. If you’re great at cooking and often get asked for recipes, it may be a good idea to turn this talent into a catering business. Reliable childcare services are not easy to find and parents are always on the lookout for reputable places to leave their children during the day while they are at work. If you enjoy being around children, are available during the day and have a safe space in your home, it may be worthwhile looking into the licensing requirements in order to start up a childcare business. If you are looking to earn a bit of extra income after working hours, you may want to look into starting a cleaning business where you clean office spaces in the evening during weekdays or on weekends. If you have expert knowledge on certain collectible items, like trading cards, you can make good money trading collectibles. Tech-savvy people that are good at trouble shooting and finding solutions can start up their own computer repair business. People that are good at shopping for bargains and can spot a good deal, would do well sourcing items from consignment shops and then reselling those items at a profit. People love eating homemade cookies but rarely have time to spend an afternoon baking them. If you have a passion for baking this would be something you would enjoy earning some money from. Beautifully packaged cookies are even more appealing. Homemade cookies can easily be sold at local food fairs, and even to people within your social circle. If you’re a fantastic cook, and up for the challenge of preparing meals in someone else’s home, you can offer your services as a personal chef. You may be hired to cook at a private party, or just for a family that wants a night away from the kitchen and more quality time to themselves while still being able to enjoy a homemade meal.